Looking for a good custom apparel source in the East Valley, Mesa, Gilbert, Chandler, Tempe area? Tower Media Group has over 30 years experience creating great graphics for t-shirts, hats, polos and more! 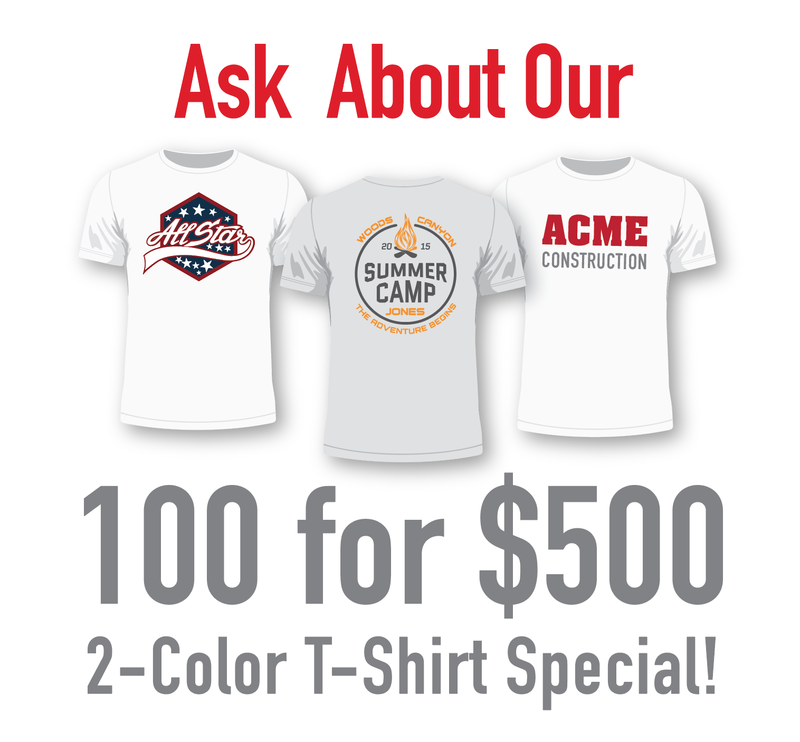 Take Advantage of our Spring Special 100 for $500 on 2-color shirts! 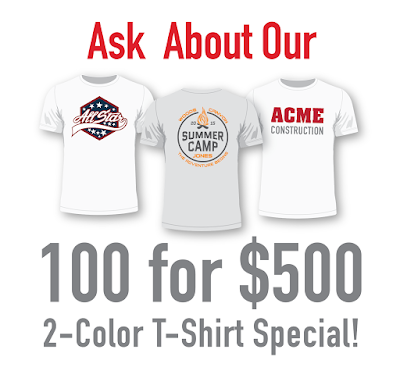 Discount T-shirt Special from Tower Media Group - Runs all Spring Long! Need help creating your design? Give us a call!